Morning drive to Mysore, the royal city, once one of the most prosperous princely states. The charm of this city lies in its green and especially in his baroque palace that evokes the past splendours of the maharajas. Before arriving in the city, stop at the Chamundi hill overlooking the city to discover the temple of Sri Chamundeshwari erected there 2000 years and dedicated to the patron goddess of the royal family. Then the statue monolith Nandi bull, mythical mount of Shiva, with impressive dimensions. Continue to Mysore. Overnight at hotel. Road to the Nagarhole National Park established in 1955 and was originally used as a natural forest hunting ground for maharajas of Mysore. Today the park covers 640 sq km of shallow valleys and gentle slopes covered with dense forest. It is part of the Nilgiri Biosphere Reserve. The park is home to big cats, big mammals and avian fauna is very well represented, the park providing for habitat and food. Afternoon jeep safari to discover elephants, buffalo, antelopes, tigers and bird watching during a boat ride on the Kabini River. Overnight at hotel. Safari day in the park (morning and afternoon). Overnight at hotel. Established in 1973, the Wayanad Wildlife Sanctuary, Kerala, is adjacent to the protected area network of Nagarhole and Bandipur northeast Karnataka and Mudumalai southeast of Tamil Nadu. This quartet preserved primary forests that cover nearly 5 500 km², is home to hundreds of species of mammals (elephants, Bengal tigers, leopards, deer endemic) and no less than 350 varieties of birds. Morning safari in Wayanad Park then back Nagarhole. Overnight at hotel. Departure for the Bandipur National Park, created in 1931 by the Maharaja of Mysore, which at that time covered only 90 km². Today its area is about 800 km² and is home to one fifth of the Asian elephants and many tigers that we discover in their natural habitat. One can also see the chital (spotted deer), sambar of (the largest Asian deer), langurs monkeys, dholes (Indian wild dog). 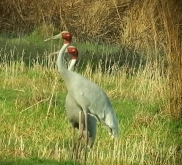 Bird lovers will be delighted to see endemic species in large numbers. Afternoon jeep safari dance Bandipur Park. Overnight at hotel. Departure to the National Park & Mudumalai Tiger Reserve which is located on the border of Tamil Nadu, Karnataka and Kerala. Just as parks Nagarhole, Bandipur and Wayanad, Mudumalai is in the grounds of the Nilgiri biosphere, the blue mountains. Sextending over 320 km², protected areas are the habitat of species endangered or vulnerable as the Bengal tiger, the Indian bison or Indian leopard. More than two hundred varieties of finsectivorous bird yardstick, carnivore, scavenger,piscivorouset granivore. Afternoon safari in the park. Overnight at hotel. Continue to Ooty, attractive hill station surrounded by mountains covered with thick forests of eucalyptus, plantations of tea and coffee. The road is a long crossing beautiful green mountain landscapes. Ooty, this beautiful resort was once highly prized by the English who have left many marks of their passage: cricket ground, golf clubs, typically English schools. Overnight at hotel. After a long and winding road through beautiful scenery, arriving in the pretty resort of Munnar one of the main tea production centers in South India. 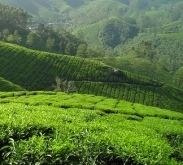 Visit a tea plantation and tea museum tracing the history of this famous drink since 1880. It is the first museum of its kind in India, opened by the Tata company, which includes a true heritage of the origins and the evolution of the plantations. Overnight at hotel. A beautiful forest road that winds through the heart of the hills leading to the Periyar National Park, Periyar Wildlife Sanctuary. Located in the heart of the Nilgiri, the panorama offers beautiful landscapes covered with tea plantations, coffee and spices. In the afternoon, exploration of the reserve: boat ride on the lake, an artificial lake of 26 km² absolutely gorgeous to observe the dense and varied fauna, ride on an elephant. then visiting a spice garden and a pineapple plantation. Overnight at hotel. Morning departure for the beautiful Lake Wembanad across the plain of Palai, home to the rice fields of sight and peaceful villages framed by countless coconut. The Wembanad Lake is the largest freshwater lake in India that stretches from Cochin to Alleppey, resulting from the meeting of three rivers. Boat trip on the lake. 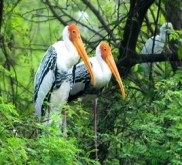 In the afternoon, visit the Kumarakom Bird Sanctuary, heavenly bird sanctuary for the many sedentary species, endemic and migratory it supports. Consisting of mangrove forests, paddy fields, coconut groves, the Reserve serves as nursery, natural habitat and place of reproductions. Overnight at hotel. Drive to Cochin located on a peninsula between the sea and a string of islands. Since ancient times, the port city of Cochin is known to be an important trading center and was a thriving stop on the Silk Road and spices. It is at Cochin, former first Portuguese and Dutch counter that Vasco da Gama made a stop in 1498 and died with the title of Viceroy of Portuguese India. With its old colonial houses, its cathedral and its alleys, it releases this a quaint and quiet charm. Explore the old town known for its bay and the show made major fishing nets, lift nets Chinese. Visit the church St. Francis the first Christian church built in India, the old colonial quarter Mattanchery with its synagogue, the Dutch Palace and the traditional district of spice warehouses. In the late afternoon, representation of a Kathakali dance show, costume drama, song and dance, the themes are drawn from the great Indian epics. Overnight at hotel. Transfer to Cochin International airport for the return flight. Large well maintained property in which to wander. Pleasant cottages along the river. Places made for lovers of nature and calm. Cordial and staff present.